Two years after his grandson was shot and killed in San Jose, a distraught grandfather continues to search for answers in the case. Bob Redell reports. Two years after his grandson was shot and killed in San Jose, a distraught grandfather continues to search for answers in the case. 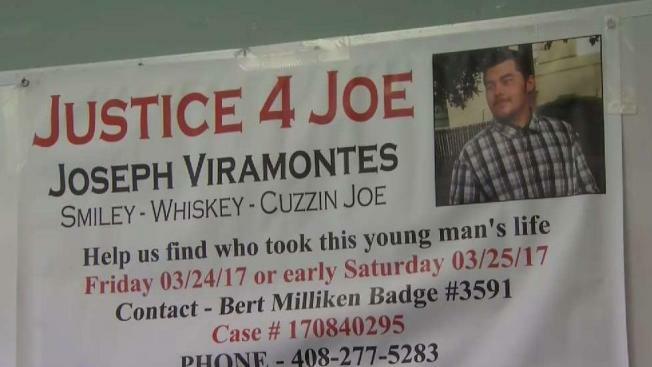 Joseph Viramontes, 19, was found shot to death in March 2017 along the 900 block of Bard Street near Toyon Elementary School. San Jose police said they have not been able to identify any suspects or make any arrests in Viramontes' murder. The last two years have been agonizing for Viramontes' 74-year-old grandfather Carlos Partida, who raised him. Partida said he can't eat and can't sleep without hearing his grandson asking him to do something to find his killer. A desperate Partida wants whoever killed his grandson to come forward so he can feel some sort of relief from the crushing pain. A man who was fatally shot Saturday morning near a San Jose elementary school has been identified as 19-year-old Joseph Viramontes, according to the San Jose Police Department. Terry McSweeney reports. "I can't replace him," an emotional Partida said. "I can't bring him back. The only thing I can do is find this jerk that did this. It's two years now and he's running the streets free. Somebody knows something." 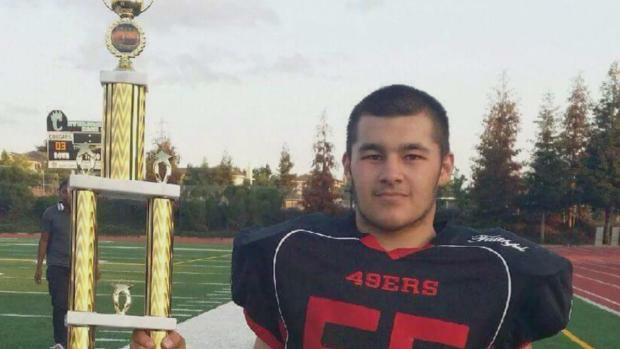 Viramontes, who was nicknamed "Smiley," was a beloved teammate in the San Jose 49ers youth football league for years. He was shot sometime between Friday, March 24, 2017 and Saturday, March 25, 2017. Partida and Silicon Valley Crime Stoppers put out a reward in the case. Anyone with information regarding the case is asked to come forward to authorities. People can report information anonymously to Crime Stoppers at 408-947-7867.